New research has concluded there is “no longer a viable wildcat population living wild in Scotland”. Breeding with domestic cats is a major threat to the survival of Scotland’s genetically-pure wildcats – the most endangered species in the UK – according to the study. Scottish Wildcat Action (SWA) now wants a “national conversation” on responsible cat ownership. It has also recommended captive breeding of pure wildcats at National Wildlife Reintroduction Centre in the Cairngorms and releasing them into the wild. The International Union for the Conservation of Nature (IUCN), which was commissioned by SWA to review Scotland’s wildcat conservation efforts, said hybridisation was the major threat to the animals’ survival. SWA, a group whose members include Scottish Natural Heritage (SNH) and Royal Zoological Society of Scotland (RZSS), said managing domestic cats was important to its conservation efforts. Eileen Stuart, head of policy and advice at SNH, said: “The public will have an important role in helping minimise future hybridisation. David Barclay, cat conservation project officer at RZSS, said helping the Scottish wildcat population to recover would be challenging. He said: “Our plans for a National Wildlife Reintroduction Centre will provide the perfect environment for breeding genetically tested wildcats with the aim of releasing them back into the wild to re-establish viable populations in key locations. The centre would be based at RZSS Highland Wildlife Park near Kincraig. Environment secretary Roseanna Cunningham said the IUCN’s review, outlined yesterday, presented further evidence of the “serious challenges” that wildcat conservation faces in Scotland. She said: “The wildcat is an iconic Scottish species and, as such, I will consider every possible action the Scottish government can take to save it. SWA’s work is separate from the Wildcat Haven project which involves establishing reserves in areas where wildcats are found and also neutering and vaccinating pet cats. 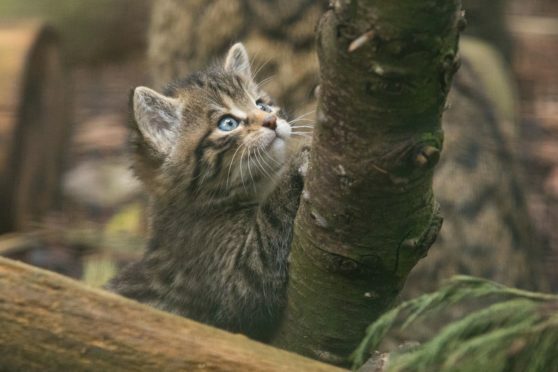 Scottish Wildcat Action steering group chairman, Dr Andrew Kitchener, Principal Curator of Vertebrates at National Museums Scotland, said: “We now have the strongest and most reliable evidence to date that wildcats are in a more endangered state than previously understood.